Find Lakewood, CO Condos for sale. View Photos, Maps and MLS Data Now! Convenient lifestyle with the bonus of a garage and premiere setting within the complex! MLS#7409632. eXp Realty, LLC. Southampton - This has central AC, a newer furnace, and new windows replaced with energy efficient options within the last six years. MLS#6309628. Fathom Realty Colorado LLC. Westgate - *ONE Reserved Parking Spot in Front of Unit #399 – Extra Parking Available Along Ammons Street *Short Walk to Neighborhood Restaurants and Parks *Excellent Jeffco Schools *Easy Commute Downtown/Mountains *10 Minutes to Belmar and Light Rail *Great Investment Opportunity *Darling Unit – Must See! MLS#5653375. RE/MAX PROFESSIONALS. Snowbird Ii - Fabulous Lakewood community near Wadsworth and Hampden, offers 2 bedrooms and 1 full updated bathroom, assigned parking space in front of the unit with plenty street parking, the entry will take you to a cozy family room with wood burning fireplace and Patio, beautiful and completely updated kitchen with all newer appliances, eating space, newer windows, newer sliding door, newer flooring and paint through-out the unit, well kept property, low HOA fees, close to Shopping Centers and transportation. MLS#2914575. RE/MAX Leaders. Perfect for first time homebuyers - you won't want to miss this one! MLS#9311763. Keller Williams Preferred Realty. Plaza Del Lago - Don't miss out on living in a fantastic location! MLS#2614403. Madison & Company Properties. Check out the 3D virtual tour at https://my.matterport.com/show/?m=k7EhCHwe4gr MLS#6835096. MB THE LEICHT SOURCE REALTY LLC. Starting May 6th as part of the HOA's regular maintenance program this building will also have new exterior paint, a new porch and repairs necessary to the siding. MLS#4641350. COLDWELL BANKER RESIDENTIAL 54. Nevada Place - Property went under contract prior to putting on market. MLS#8072417. 5281 Exclusive Homes Realty. Don't miss out on this hidden gem with an unbeatable location! MLS#1914728. MB BRYANT AND ASSOCIATES. 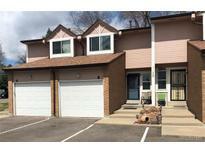 Renaud Place - This end unit in a cul-de-sac has an open green space and back yard area. MLS#1733716. RE/MAX Professionals. Victoria Village - Reserved parking space #144 and plenty of guest parking throughout community. Fabulous pool area to enjoy! MLS#9817374. LIV Sotheby's International Realty. There’s plenty of potential for the savvy investor or first home buyer. MLS#7248574. Your Castle Real Estate Inc.
Lakewood Hills - Call now to schedule your personal showing! MLS#8834203. TRELORA. Preserve At Weaver Creek - Nice community in Lakewood close to Golf Courses, Bear Creek Lake Park, The Federal Center, Shopping and of course the Mountains! MLS#3093806. RE/MAX PROFESSIONALS. Finished basement (630sf) offers a 2nd fireplace in bonus room or non-conforming 3rd bedroom, with full bathroom featuring an oversized soaking tub. MLS#9997900. RE/MAX Cherry Creek. This home is clean and ready to move into. MLS#3455099. Financial Security Realty. Riva Ridge - Welcome to the next place you'll be calling HOME! ! MLS#7934631. KELLER WILLIAMS AVENUES REALTY. San Francisco - You won't want want to miss out on this opportunity! MLS#3801606. Keller Williams Integrity Real Estate LLC. Units are under construction with estimated summer delivery. Photos are of model. MLS#3383126. HIGHLANDS REAL ESTATE GROUP. Green Mountain Terrace - Super close to the community pool and tennis courts, perfect for summer! MLS#7277976. Kentwood Real Estate City Properties. Buyer gets free use of moving truck! MLS#5001804. Golden Real Estate, Inc..
Applewood - Easy Commute to Downtown/Mountains .5 Miles to W. Colfax Ave & Oak St. Bus Station. MLS#5574001. Keller Williams Advantage Realty LLC. Lakewood Vista - Buyer must occupy unit for 1 year before using as an investment property. MLS#9149777. MB A+ REALTY GROUP. Riva Ridge - Easy access to 6th Ave, I70 and C470. MLS#9466670. RE/MAX PROFESSIONALS.